To begin at the roots, let us see what a risk is in its true sense, before we move on to risk management. A risk, in very simple terms, can be said to be some occurrence that may or may not take place in the future but may affect your organization, mostly in an adverse manner although it may be a positive effect as well. Risks are more often than not, assumed to have a negative impact, however, being open to the idea that risks may also end up creating positive opportunities can make your project smarter and ultimately more profitable. Uncertainty and likelihood are two terms which are always associated with a risk. We take risks in our everyday life- be it making a life changing decision or something as simple as risking getting late to work by taking a bus instead of a cab. But when it comes to running an organization, even the smallest of risks can disrupt its working entirely. Which is why it is of utmost importance that every small risk is identified and then subsequently managed, so that you are prepared well beforehand, even for the worst case scenario. As a project manager or a team member, one of the most important things to do is to manage risk on a daily basis. Risk management processes include five basic steps. Let us look into them one by one. Step 1: Identification: Potential threats or risks need to be identified. These can be anything that may affect your organization’s progress in general or maybe regarding a particular project being carried out. Uncover, recognize and describe risks. Step 2: Analyze the risk: Once risks are identified you need to determine the likelihood of each risk and its consequence. Understand the nature of the risk and its potential harmfulness. Step 3: Evaluate or Rank the Risk: Evaluate or rank the risk by determining the risk magnitude, or how huge its affect will be. This is the combination of likelihood and consequence. Some risks are acceptable and can be merely ignored whereas, some need to be addressed as soon as possible. 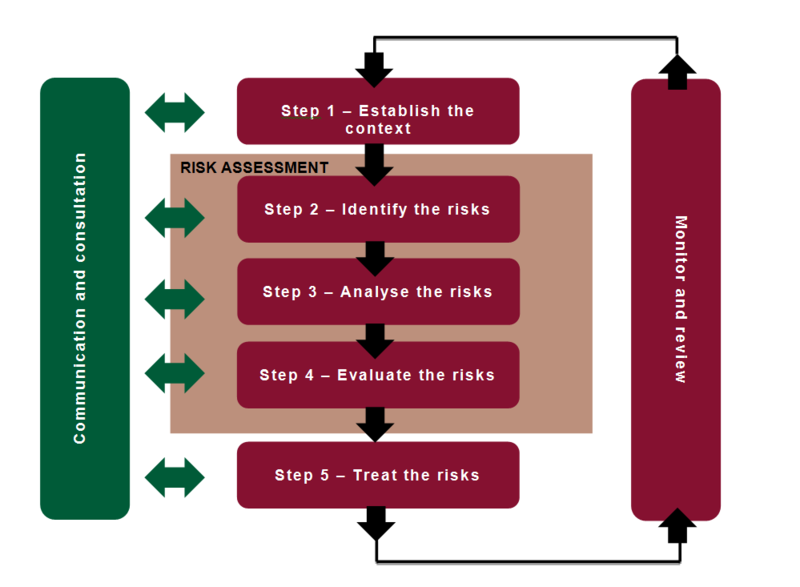 Step 4: Treat the Risk: This is also referred to as Risk Response Planning. Create risk mitigation strategies, preventive plans and contingency plans to control, nullify or eliminate the risks that rank high. Step 5: Monitor and Review the risk: Finally, you need to monitor, track and review risks. Risk is about uncertainty. If you put a framework around that uncertainty, then you effectively de-risk your project. And that means you can move much more confidently to achieve your project goals. By identifying and managing a comprehensive list of project risks, unpleasant surprises and barriers can be reduced and golden opportunities discovered. The risk management process also helps to resolve problems when they occur. 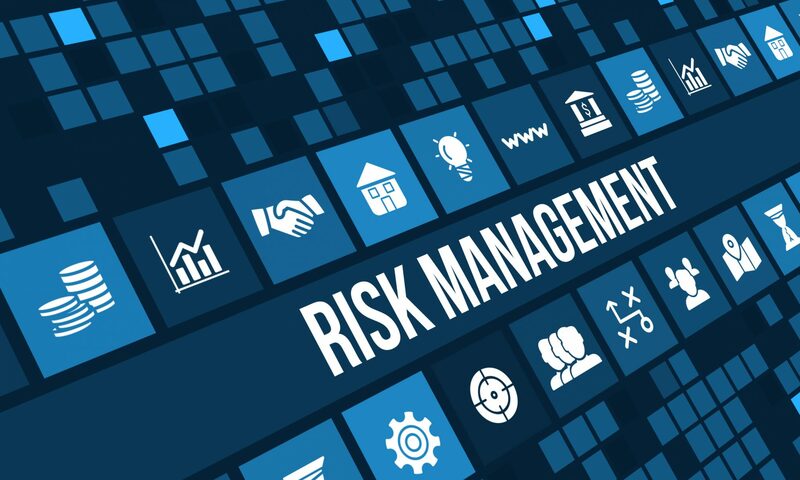 Risk management can be carried out by various GRC tools as well. GRC or Governance, Risk and Compliance is essential to the success of any organization. Tools like VComply help is managing all your GRC needs and hence your risk management activities are taken care of in a snap! Identifying and managing risks is as important as developing the product itself. Hence, make sure you’re prepared by employing these simple steps for managing risks. Next PostNext Compliance training is as important as compliance itself, if not more!